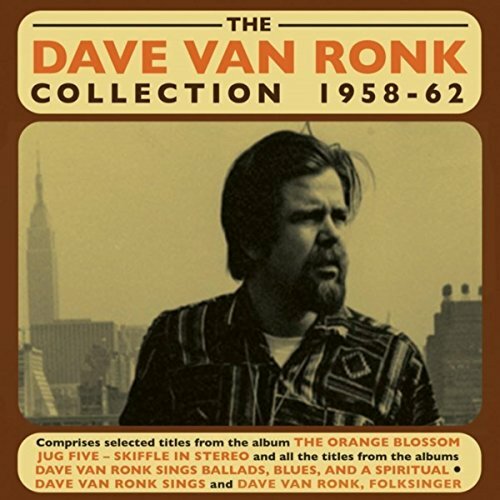 Guitarist, singer, songwriter, and native New Yorker Dave Van Ronk inspired, aided, and promoted the careers of numerous singer/songwriters who came up in the blues tradition. Most notable of the many musicians he helped over the years was Bob Dylan, whom Van Ronk got to know shortly after Dylan moved to New York in 1961 to pursue a life as a folk/blues singer. Van Ronk’s recorded output was healthy, but he was never as prolific a songwriter as some of his friends from that era, like Dylan or Tom Paxton. Instead, Van Ronk’s genius was derived from his flawless execution and rearranging of classic acoustic blues tunes.